Bhojpuri Queen Kalpana Patowary is back with a bang following the massive success and widespread appreciation of ‘The Legacy of Bhikhari Thakur’. The folk singer is now ready to hit the music stores with her subsequent album ‘Fagunahat’, featuring traditional 'Holi' songs. 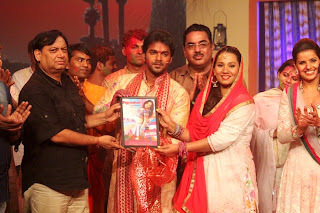 The album was released on Sunday at Basera Studios Kandivali in Mumbai city on the sets of BHOJPURI HOLI UTSAV in the presence of noted filmmaker Abhay Sinha, Bhojpuri musical icon Pawan Singh, choreographer Pappu Khanna & actress Madhu Sharma. ‘Fagunahat’ indicates ‘Fagun ke aane ki aahat’ (the onset of spring), according to Kalpana. The tunes in her album carry freshness that can rouse the languid spirit and cheer up the gloomy. While ‘Rangbaaj fagunwa aail’ is a tale of the passionate reunion of a separated couple associated with the commencement of spring, ‘Ab lehu rangwa lagai’ follows a devotional route in praise of Lord Rama and Sita. 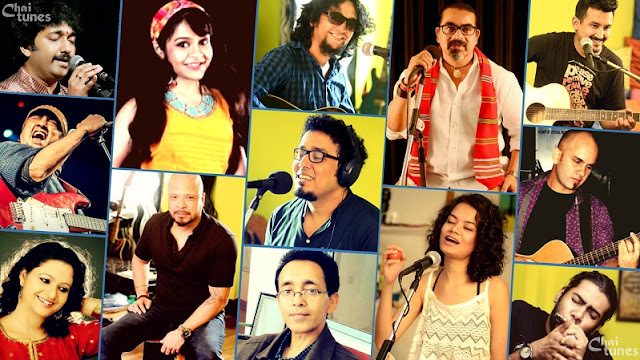 Other tracks like Dewra Rangbaaj, Piyawa Calcutta Gaile too will get your foot tapping. Over all, folk music lovers, this is an album to look out for. This is the Kalpana's first Bhojpuri Holi album with an International label after she made her grand debut with her Bhojpuri album 'Gawanwa Leja Rajaji' in 2001. She has around 12 Bhojpuri albums released till date. Deep rooted in folk music, Kalpana’s musical expedition has drifted her into many genres of music from contemporary to more eccentric ones. She recently enjoyed ample attention in Bacardi NH7 Weekender concerts in Pune as well as through her collaboration with Trilok Gurtu in an episode of The Dewarists.